Last week news broke that the Saga Ruby, on her very last cruise after a career spanning forty years, was stranded in the Canaries on her way to the West Indies, with generator problems that would preclude the operation of her air conditioning in the Caribbean. Instead, she will now cruise to the Mediterranean. In Finland, troubled STX Finland has secured the financing that will enable it to complete its second ship for TUI Cruises. Tampa reveals that it has an air draft limitation that will preclude it from accepting mega ships. And New York-based PhoCusWright reports on a slow recovery in the mainstream cruise market. Friday the 13th seems to have taken its toll on Saga Shipping, which has been forced to reroute a 31-night cruise to the Caribbean on board the 655-berth Saga Ruby due to a faulty generator that would affect the ship’s air conditioning. The ship left Southampton on December 7 and was in Tenerife when the news broke. Instead, she will complete her final voyage for Saga around the Mediterranean, where she can operate normally with her five good generators. On returning to Southampton on January 7, Saga Ruby is due to be sold to Asian buyers who plan to turn her into a hotel. Saga Shipping managing director Robin Shaw flew to Tenerife to inform the 557 passengers on board of the itinerary change. Passengers who didn’t wish to carry on, understood to number fewer than thirty, have been flown back to the UK and given a full refund, while those that elected to continue have been given 40% refunds. The diverted cruise is now expected to include Monaco on Christmas Eve, spend Christmas Day at sea and New Year’s Eve in Gibraltar and make a number of calls in Spain, Italy, France and Portugal. Saga first entered the cruise market in the late 1980s, chartering a Russian ship, the 548-berth Russ, as well as taking group space for its own clients with other cruise lines. For many years, Saga was one of P&O Cruises’ largest suppliers of cruise passengers but after the two companies fell out over terms, Saga began to concentrate more on operating its own ships. 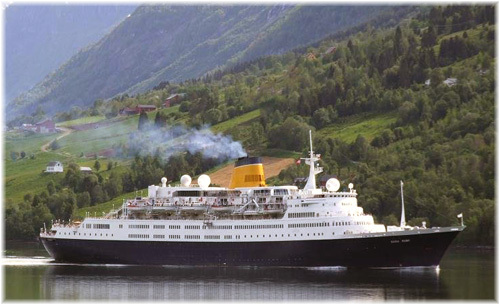 In 1996, it acquired the 584-berth Saga Rose, which had been built in 1965 as Norwegian America Line’s Sagafjord, from Cunard Line, and in 2005, the Saga Ruby, the former Vistafjord, built in 1973 and by then operating as Cunard Line’s Caronia. The Saga Rose was retired in 2010 and sold for breaking up. This leaves Saga with two more modern ships. The 706-berth Saga Sapphire was built in 1982 as Hapag-Lloyd Cruises’ last Europa and was once the top scoring cruise ship in the world, while the 456-berth Saga Pearl II was built in 1981 as the first Astor, and spent many years working for DSR Deutsche Seerederei, predecessor to AIDA Cruises. Both of the present ships were built in Germany, and while well-maintained are also now more than thirty years old. 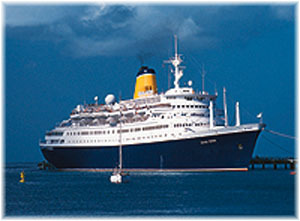 Before the present recession, Saga had actually been mooted, among others, as an eventual potential source of new orders for cruise ships of their own design. STX Finland last week announced that it had secured the financing it needed to complete construction of the second new 2,500-berth cruise ship for German-based TUI Cruises. A sister ship to Mein Schiff 3, now under construction and scheduled for delivery in Spring 2014, Mein Schiff 4 will also be built at the Turku shipyard. With no other orders on its books at the moment, STX Finland’s troubles began in 2012 when it lost the order for the third Oasis class ship for Royal Caribbean International to STX France. STX Finland lost out to STX France when it was unable to come up with financing for the project from either the Finnish Government or its South Korean parent. Following this, in September this year, STX announced that it would shut down its Rauma shipyard, with the loss of 600 jobs, by 2014. The financing for the second TUI ship will ensure that STX Finland will be able to keep the Turku yard open until 2015. While MEIN Schiff 3 was floated out last month, her sister ship Mein Schiff 4, is now under construction for delivery in spring 2015. 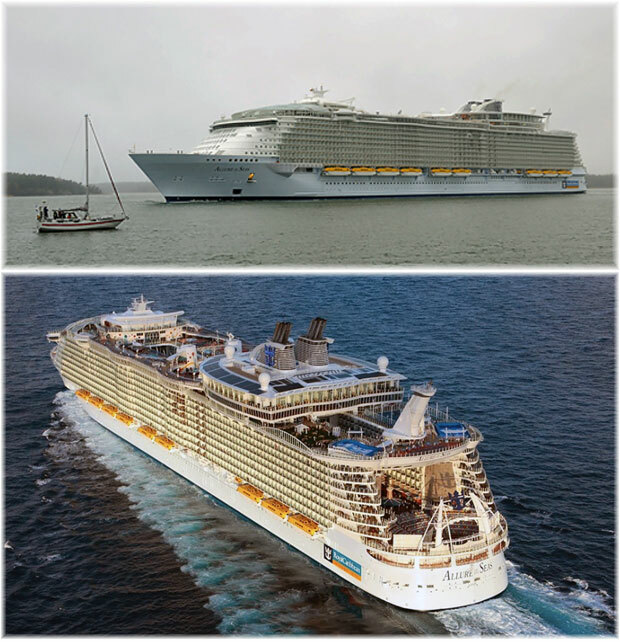 Both are sophisticated and highly innovative 99,000-ton cruise ships. They will measure 968 feet long and 118 feet wide and will have 2,500 lower beds and a crew of 1,000. The new ships will consume around 30% less energy then other cruise ships of a similar size. It has recently been announced that TUI Cruises will base Mein Schiff 3 in Malta. Meanwhile, STX France in St Nazaire has announced that the third Oasis class ship is proceeding apace. Eighty huge blocks are now being assembled at St Nazaire at record speed due to a new crane that can lift much larger components. Assembly time with this new crane will be cut by 30% and delivery is scheduled for Spring 2016. While Oasis of the Seas and Allure of the Seas were completed by STX Finland, the St Nazaire ship will measure about 4,000 tons more than the first pair and will be about six feet longer. Last month we ran a story on how the Port of Montreal is going to be able to accept larger cruise ships after Hydro Quebec raises a couple of power transmission lines that cross the St Lawrence River between Quebec and Montreal, bringing the permitted air draft to reach Montreal from 156 feet to 170 feet. Now comes news from Tampa of a similar problem there but at a higher height. According to the “Tampa Bay Times,” that port has a limitation of 181 feet for cruise ship access, caused by the Sunshine Skyway Bridge, which was opened in 1987. This means that mega ships such as the Oasis of the Seas and Queen Mary 2 cannot pass beneath. According to the Times, other than rebuilding the bridge, the port faces two options – to build a new cruise terminal west of the bridge or to watch Tampa lose any mega cruise ship business to other Gulf coast ports. It will be up to the Tampa Port Authority, the Manatee County Port Authority and officials in Hillsborough and Pinellas Counties to plan for the future. Reportedly, a recent study by the State of Florida concluded that more than half the world’s cruise ship fleet would be mega ships by 2016-17, which could cause a problem for Tampa with its 181-foot limitation. Miami and Fort Lauderdale having no bridges, this is not a problem for them. And although some states are raising bridges such as the Bayonne Bridge in New Jersey to accommodate the massive cargo ships of the future, Tampa’s Skyway would have to be totally rebuilt, ruling that out as an option. By comparison to Tampa’s 181 feet, the maximum airdraft allowed under the Verrazano Narrows Bridge in New York is 228 feet and under the Golden Gate Bridge in San Francisco 220 feet. Meanwhile, building a new cruise terminal for mega ships west of the Skyway would require funding and have to clear a number of environmental hurdles. The alternative is Tampa Bay doing nothing, making the best of handling what will one day be older, smaller ships sailing around the Caribbean. What is potentially worrying for Tampa is that, along with Key West, the port was for decades a main point of connection for sailings to Cuba and if that market reopens it might be shut out of being able to take mega ships cruising to Havana and other ports in Cuba. For now, however, the Tampa Port Authority is still expanding its cruise business, hoping to surpass a million passengers in 2015. Major cruise line revenues have stagnated in the wake of the past two year’s incidents, but are expected to begin a slow climb again next year, according to a study by US travel research company PhoCusWright. At the same time, the growth in online cruise distribution is projected to slow dramatically, the study added. Cruising continued a steady shift towards web-based channels with a 26% increase in 2012, when $2.4 billion in cruise revenue came through online channels. 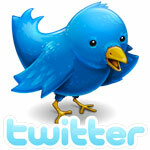 Online growth in 2013 is expected to slow dramatically to 6%. In 2012, 16% of cruise sales were contracted online, compared with 13% the year before. Online penetration is forecast to grow just 1% in 2013 and to reach 20% in 2015. Cruise fare revenue growth in 2012 was the lowest it’s been since 2010, with a 4% increase bringing revenues to $15 billion. 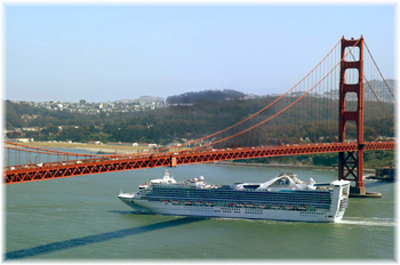 Cruise revenues are projected to stay at $15 million in 2013. The lack of growth is due to incidents like the loss of the Costa Concordia in 2012 and the Carnival Triumph fire in 2013. Revenues are projected to increase at a faster rate in the next two years, with 3% growth in 2014 and 6% in 2015, to top $16 billion.